NLP sales techniques could completely change your perspective on selling and boost your results. NLP (Neuro Linguistic Programming) was developed in the world of therapy. It focuses on perceptions, how people see the world, communication, and the filters and programs that people use to find their way and make decisions. That makes it a really good fit for the world of sales, so straight away sales trainers started adapting it and trying to teach sellers how to use what was a tool for therapist. 1. It takes time and commitment to really learn NLP to a level that you can use it in live interaction with a client. 2. Influencing people to change, or buy, doesn't fit the standard sales model. Finding a way to quickly train sales people to use these techniques to increase sales has been the goal for many trainers and training companies. NLP sales techniques would allow you to see objections as your buyer sees them. You would know what their real needs were and more importantly what those needs mean to them. You would know how they knew this. By that I mean you would know if they were building internal pictures, using self talk, or if they were using their feelings to make the buying decision. So you can see, or hear, or feel, how powerful this could be. It's like reading your customers mind, or knowing why they say and do what they say and do. But many people have failed to produce a training course that can achieve this.....until now. I recently reviewed a sales training course that uses NLP to great effect and produces great results. This is the first sales course I have seen that successfully combines selling techniques with NLP. The author has real experience of selling, not just training in a classroom. The package you get makes it easy to take in the information with written text and full use of multi media. And this course overcomes the two problems that have prevented other courses being effective. Because the training shows you what to do, rather than go into the technicalities, it can quickly be put into practice. It also presents the information in a way that forms a sales model for you to follow. 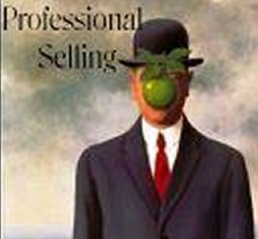 I don't often recommend products but after reviewing this course, and seeing how it could change the way you sell, I think you should take a look at Professional Selling NLP sales training course.